Last week SpoiledLatina.com got invited by our blog post sponsor Mirium Shopper to attend the #100PorCientoTu concert with Luis Coronel in Dallas. The concert was a pre-event to the big show of Premios Juventud in Miami. I sent SpoiledOne, Stephanie Franco to Dallas to enjoy and cover the show...here is her event recap. When Yvonne asked me if I could take a Mini Road trip for the blog I said, absolutely! Dallas, Texas + Luis Coronel—I think yes! So my day started of by a mini road trip to Dallas Texas, to make sure I make it right on time to see Luis Coronel. After arriving to my hotel room I started getting ready. I started my shower by pampering my hair with TRESemme Botanique Nourish and Replenish Shampoo and Conditioner. I love this stuff! My hair has a mind of its own so it is always hard to find hair products that work with my natural curly ethnic/mixed hair. This combo truly worked leaving my hair cleaned and moisturized without it feeling weighed down. 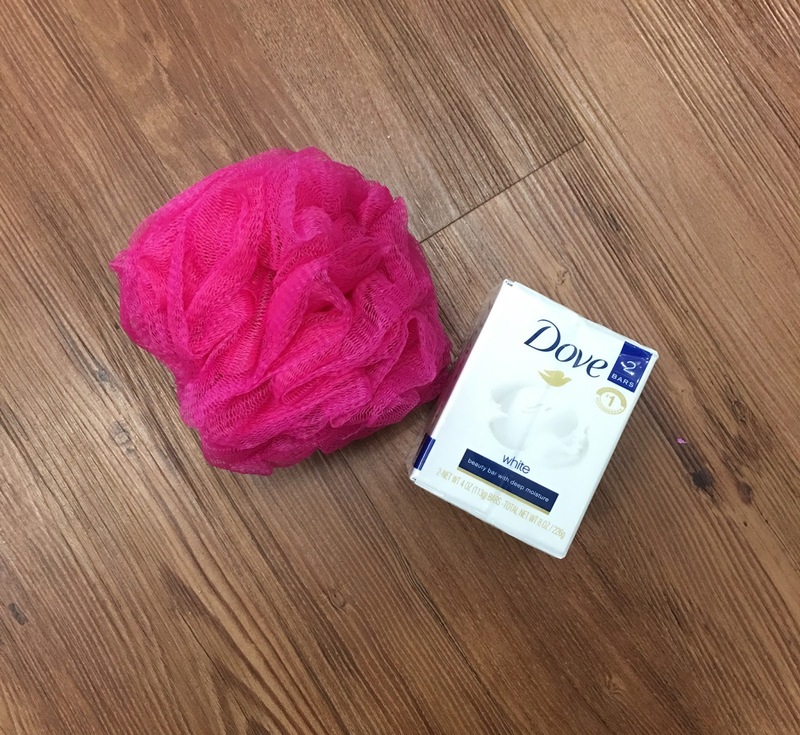 After my hair regimen, I cleansed and pampered my body with my pink loofah and my favorite Dove White Beauty Bar; my body stays moisturized and I smell so good! Fast-forwarding my beauty process, I finished my hair, makeup and got dressed. Once I was ready I started heading out to go see Luis Coronel. Once my friend and I arrived we valet parked to not lose anymore time and got in line. We both felt so excited. After a few minutes in line we started burning up… It was so HOT in Dallas, TX. I just knew my hair and makeup were about to do there own thing—Tun Tun Tun! Fortunately, the line started moving and we made it inside! YASSS! AC! My hair and makeup survived. We were quickly greeted by Melissa, who introduced us to the #100PorCientoTu team. We took a few pictures with them and started mingling with Luis Coronels team. They were super fun. She later on took us upstairs to a private section where we could enjoy Coronel's performance. After a few minutes he started his performance and everyone went crazy. All the fans had high energy and so much love for him. He even started to get a little emotional when everyone was singing word by word. I spy Yvonne from SpoiledLatina! The concert ended and we headed out to eat with our new blogger friends from Dallas- Ashley Meza and Daniel Meza. Great people! Then we made it back to our hotel and called it a night…or early morning! *sponsored post- all opinions are our own.